“- Yes, I know. We cannot be too far from the exit. Everyone let’s keep moving.”. Carefully threading, a group of 6 explorers try to make their way out of this cave. Everything started like any other day. But all went so quickly to hell. First, there was this unexpected flood: the whole team’s mental took a toll when the freezing waters rose suddenly. Then, Louis the Medic went exploring a room and got separated from the group when the ceiling collapsed. We wanted to stay and dig our way to him, but it was too risky. We moved on, hoping that he would find his way out. Or back to us. The moral wasn’t high, but all became worse when Shiraishi told us she saw something moving. We all doubted her, placing her vision on the account of some mild paranoia. But when Singh got hurt, it appeared evident something was here, lurking in the darkness. He managed to repeal the creature, but we know we can’t dwell here. We need to move on. It may not be alone. “- Guys. My lamp died.” said Kate, fear creeping in her voice. We’ve been down here too long. This dying light is only the first one. Soon we won’t have a light to guide us. Then, what we’ll keep these horrors away from us? 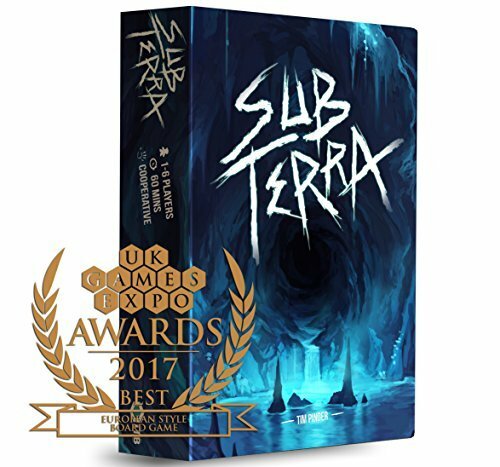 Sub Terra is a survival horror packed tiles game, released by Inside the Box Board Games LLP. Designed by Tim Pinder, this game will take 1 to 6 players underground for about 60 minutes. It is played in about 13 to 22 rounds depending on your chosen difficulty. How many cavers will you manage to guide out? As a start, you will set aside all markers – cave-in markers, flooding markers, gas marker – but also the horrors, explosive and rope tokens. Set the die aside as well, in easy reach of all players. Set the starting tile in the middle of the play area. Every player will then choose a character and receive their starting health tokens. Most will start with 3 health tokens, yet the Bodyguard will get 5. Each player then receive their meeple and place it on the starting tile. The player would went the deepest in the Earth last will be the first player and receives the First player marker. You can now take the exit tile away and shuffle the 64 play tiles. Shuffle the exit tile with the 5 last tiles from the stack and place these 6 tiles at the bottom of the draw stack. Last, choose your difficulty. Depending on the number of players and your difficulty, you will need to randomly get a number of cards to build your hazard deck. With 4 characters and an easy difficulty, you’ll get 22 cards, while playing expert with 6 cavers, you would only get 13 hazards. The more cards, the more rounds you will play. Playing Sub Terra is really easy. Every player will play in clockwise order, starting with the first player. When every player have taken their actions, you would activate the horrors, if any, then will resolve a hazard. Once those 3 actions have been done, the first player token moves to the next player clockwise and you’ll repeat this sequence. The game will either end when all characters have reached the exit or have died. On its turn, a player will have have 2 action points to spend on different actions. While most actions will cost 1 action point, some will cost two but will have better outcomes. For one action point, you may reveal a new tile, which will need to be connected to the tile you stand in. Connections need to be made so that to extend an opened path. You could also chose to move your character to the next connected tile. Another one point action is exploring: with this action, you will reveal a new tile then directly move onto it. Whilst it helps fasten your play, this is also a big gamble as you don’t know what to expect in the next room you open. Two action points would allow you to run, moving your character up to three moves. Or you could chose to heal, recovering one health point, or helping another player sharing your tile to recover one health point. Some hazard or tiles would have an impact on your freedom to move. You would need to spend 2 action points to swim through a flooded room, or squeeze through small pathways. You could also spend 2 actions to dig in a caved in room. Some tiles will require two action points to try to place a rope, and will need you to prove your agility by rolling any score above 3 on a 6 sided dice. You may also want to hide from the coming horrors, spending 2 action points and rolling your agility. You also get the chance to exhaust yourself: throw a die and get 4 or more to get one final additional action point. Beware, on a three or less, you will lose one health point. You will also notice that all the cavers have their special abilities: use them wisely! Once every character had their turn, horrors would move one step towards the closest caver. Though they cannot cross solid walls, nothing will stop their way: rubble, flooded rooms, sliding room will not delay their path towards you. If a horror occupies a caver’s tile, this one will lose all his health point and fall unconscious. Be wary of the creatures lurking in the dark! Keep hopes: no more than 3 horrors can be present in your cave system at the same time. Now that every horror has moved, it is time for you to reveal the next hazard card. Five types of cards will randomly impact your gameplay. Tremors will require every caver to make an agility check: any failing player will lose one health point. If you reveal a flood card, place a flood marker on every flood tile. From now on, you will need to use two action points to swim to exit such tiles. A gas event will impact any caver on a tile marked with the gas icon. They loose 2 health point. Note that the toxic gases will keep emerging until the next hazard is revealed: moving in a gas tile will get you to lose those 2 health points. On a cave-in card, the skies will fall on your heads. Roll a die: any cave-in tile showing the rolled number will break down. Place a rubble marker on them. Any caver on these tiles will lose 3 health points. You will need to spend 2 action points to dig the rubble out. Revealing a horror card will move every horror in play one tile closer to the nearest caver. If there are less than 3 horrors in game, you will need to spawn a new horror on the closest horror tile to a character. 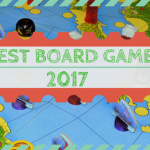 This game was funded by Inside the Box Board Games through Kickstarter in February 2017. The company had already 4 games funded through this platform, and announced a very tough deadline: delivery expected for November 2017: 9 months turnaround is a fairly short time for any project. With over 6600 backers, the hype was fairly high! In the end of October, a delivery was waiting for me in the office. Yes, the game was delivered before the expected month, and seeing all those boxes in Essen while my copy was waiting home built my hype even more! Opening the box was a pleasure: the material feels great: the mat colors, and the texture of the tiles is very pleasing. The rule book is clear, easy to read and answer all the questions I had through my first plays. Kickstarter also brought more goodies to this game: you can now download a full 92 minutes soundtrack, allowing you to be even more immersed in this underground cave system, and an app is also available for Android to play this soundtrack, provide you with a sound board and a score calculator. Mind you, not everything is perfect as shows this Kickstarter update: things such as a wrong tile printed, stickers for the horrors or a doubled page in the expansion rule book have happened, still the team is working on fixing these and it doesn’t change anything: this Kickstarter is a success! I’m looking forward to the next productions from ITBBG! Sub Terra just became my favorite solo game: I have now played it more than I have played Legendary. And I feel sad: I saw these big boxes in Essen. The game and its expansions. I hardly use expansions with my games, but when I play and replay games, expansions feel good. And how did this game become my favorite solo game? Well, as a start: it’s fairly quick to set up, and though you’ll want space – you never know what direction your cave will take you to – it’s also a quick game to put back in the box. The material and artwork are also very appealing. In dim light, you may have difficulties identifying your path, but this helps to the thematic. What works great is your decisions: you are working against the clock. Move after move, the number of rounds remaining decreases. You’ll need to find the exit quick. Will you separate your team? One player lagging behind to uncover more tiles? But there’s a risk: should he lose his last health point, he’ll fall unconscious. And if so: will you go rescue him? Or move forward in hopes to see the lights of day again? With friends, this is also a very interesting game to play: you cannot win alone. Every character has it own skill which will help you towards success. 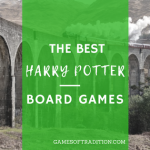 Played under an hour, it should get all your friends involved in the game play. You will also see that the rules are really quick to explain, allowing you to start the game in no time.